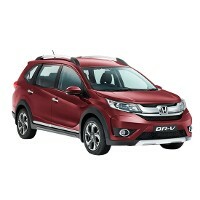 On Honda BR-V :- Get Insurance under MISP at Re. 1 (worth upto Rs. 33,500) | Exchange Bonus up to Rs. 40,000 | Accessories worth Rs. 16,500 (this only Exchange Customer) OR Get Insurance under MISP at Re. 1 (worth upto Rs. 33,500) | Accessories worth Rs. 26,500 (this only Non Exchange Customer) | Additional offers for selected Corporates for all models. (Kindly contact your nearest dealer for Models & Variants wise offers). Excellent performance engine. Provision of leather upholstery on the top end variant adds a premium touch to the interior cabin. Seating arrangement is too good with an offer of extra row of seats. Lack of an automatic option for diesel engine. Poor build quality. Absence of features like touchscreen audio system, reverse camera or parking sensors. Less attractive features than its competitors such as Creta, Duster and so on. 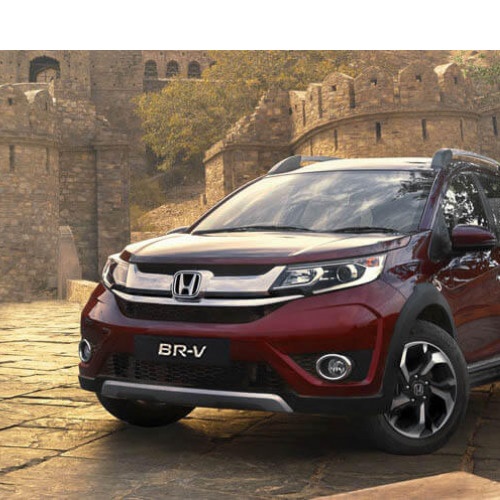 The Japanese carmaker Honda has launched its new compact SUV known as BR-V at an attractive price. This new SUV is available in four trim levels across two engine options and it is available in Taffeta White, White Orchid Pearl, Carnelian Red Pearl, Alabaster Silver Metallic, Urban Titanium Metallic and Golden Brown Metallic. 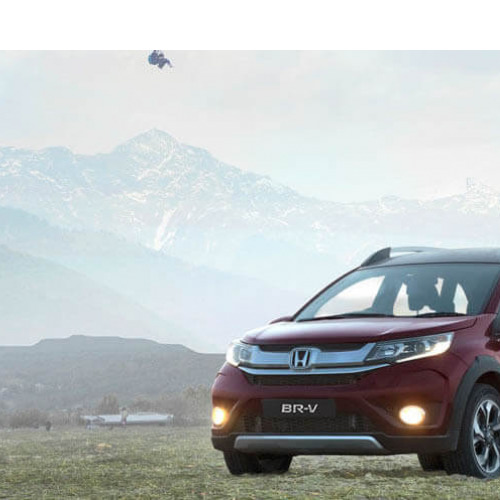 Honda BR-V is designed on the basis of 'Active Solid Motion' along with elements inspired by Mobilio MPV. It features a large chrome slat grille, black projector head lamps, a sturdy bumper, plastic body cladding etc. When it is talking about the engine, the BR-V is offered with two engine options such as 1.5 litre petrol and 1.5 litre diesel. The petrol engine delivers high power of 117bhp and high torque of 145Nm where as the diesel engine pumps out the power of 98bhp and a torque of 200Nm. 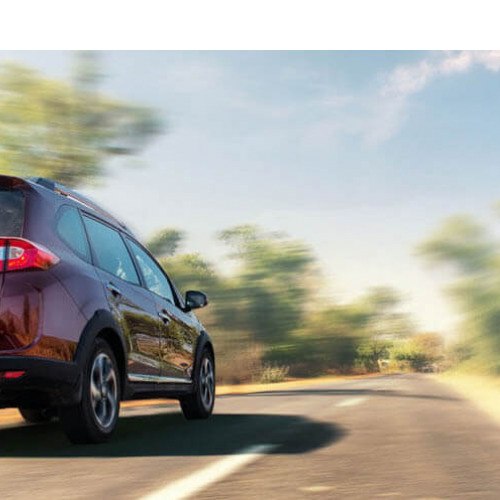 For both petrol and diesel, the SUV is provided with a six speed manual and a CVT for petrol. The vehicle delivers the fuel efficiency of 15.4kmpl for manual transmission and 16kmpl for automatic transmission in petrol variant. Likewise, the mileage of the diesel variant is found to be 21.9kmpl. It is well packed with good safety features such as standard dual SRS airbags, ABS, EBD and many more. Not only that, it is also loaded with features like start/stop button, steering-mounted controls, automatic climate control, roof mounted AC vents, Bluetooth connectivity, height-adjustable driver's seat, rear defogger etc., which may vary from one variant to another. 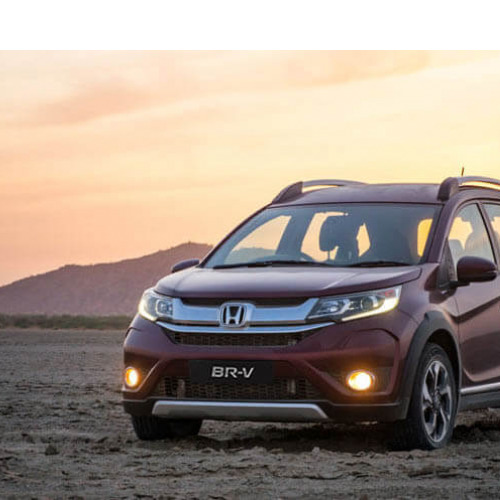 With this excellent features, Honda BR-V will compete toughly to its rival cars like Renault Duster and Hyundai Creta. Honda BR-V is available in 11 variants. View below listing of variants based on their fuel type. 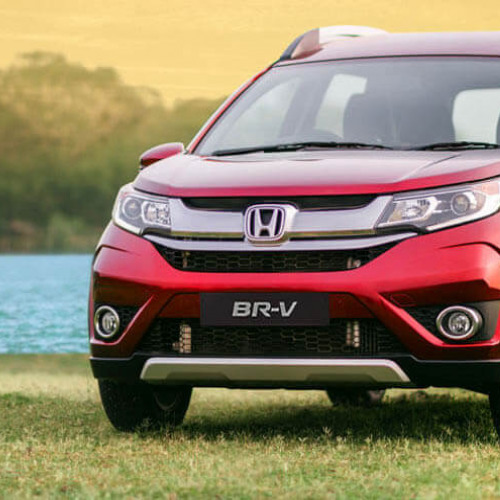 Upcoming variants of BR-V are also listed here. 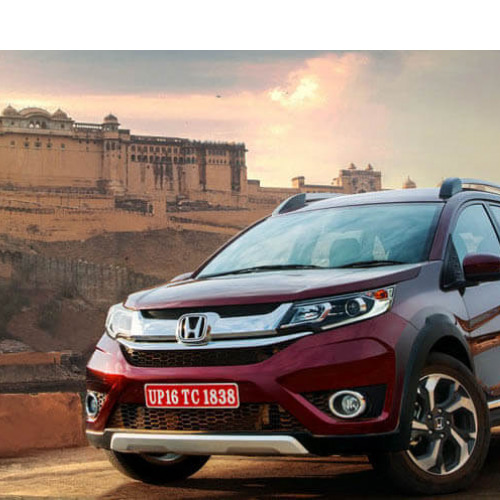 * Prices of Honda BR-V car indicated here are ex-showroom price not the on road price of BR-V. Price list is subject to change and for the latest Honda BR-V India prices, submit your details at the booking form available at the top, so that our sales team will get back to you. Honda BR-V mileage mentioned here is based on ARAI test drive and not from BR-V review by vicky team. 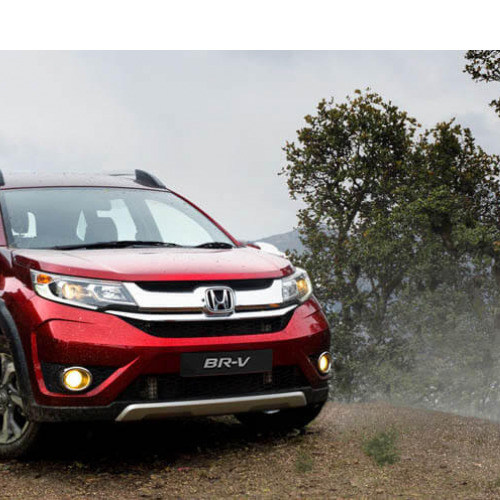 "The prime specs of Honda BR-V are listed here. The overall length, width of the car should give you an idea about parking space it require. 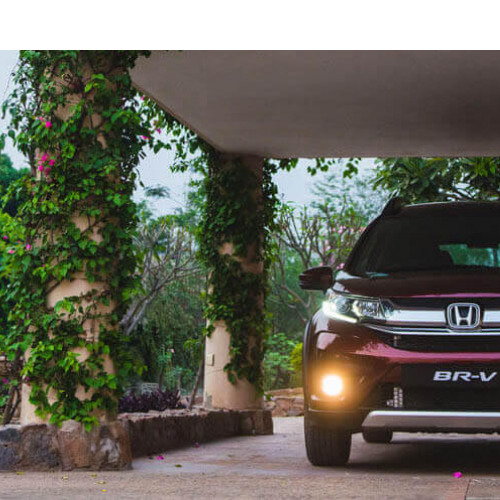 The ground clearance (lowest part of the car to the ground) will give you the measure of water wading capability and confidence of BR-V's capability to run over potholes and speed breakers. However GC (ground clearance) won't tell everything. 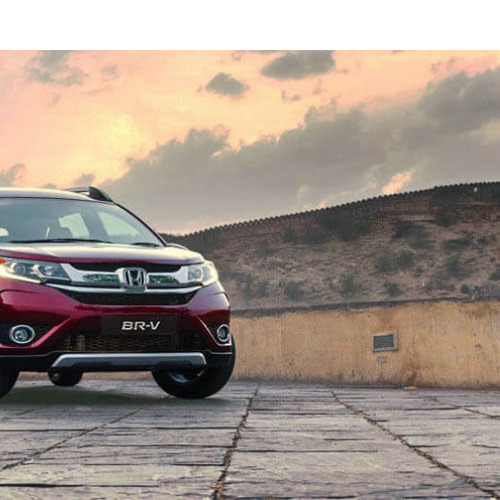 Other important factors like approach angle, breakover angle and departure angle is required to assess the cars' ability to run in rained indian roads and light off road tracks.Engine specs of BR-V are also listed here. 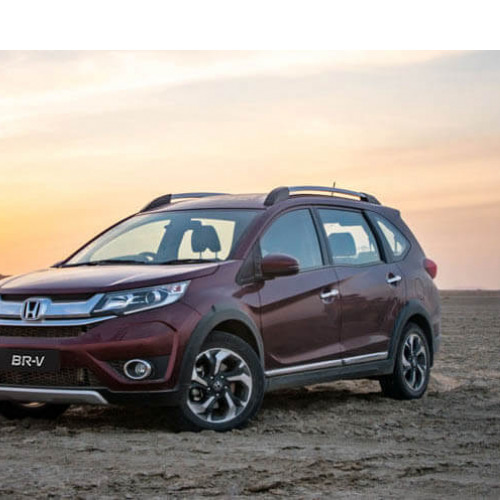 With the power (in bhp) and torque (Nm) figures the most important ratios - power to weight ratio of BR-V and torque to weight ratio. The displacement (in cc) is the measure of cubic capacity of the engine. Earlier there was a notion, larger engines produce more power and torque however with the invention of advanced technologies this is no longer true." Find your favourite Honda BR-V car features list. While power windows, power steering and central locking are considered prime convenience features, the presence of safety features such as abs and airbags will give the necessary safety for the BR-V occupants. Alloy wheels is something everyone would love to boast about. I would like to share some thing regarding the vehicle BR-V which was recently launched. The first thing in this car is it would be a competitor car to Hyundai Creta and secondly the new vehicle comes with much better looking interior and front dashboard, seating arrangement etc. It could be a good choice because it would definitely satisfies the needs of the Indian people while riding on both city and highway roads. But the cabin decoration needs some changes over that. Apart from that, everything is ok for our ride.